Comfortably reverse the signs of aging and achieve a more youthful appearance without downtime. elos® is the first and only technology that uses combined energies to effectively stimulate collagen production and improve your overall skin quality in areas that are most telling when it comes to age, such as the eyes, brow lines, cheeks and around the neck. Are Sublime treatments covered by insurance? Most insurance companies do not offer reimbursement for cosmetic and aesthetic procedures. Please consult your insurance carrier for more details. 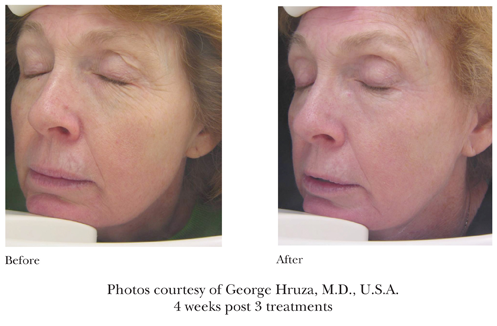 Sublative offers patients of all skin types a safe and effective solution for reversing multiple signs of aging. 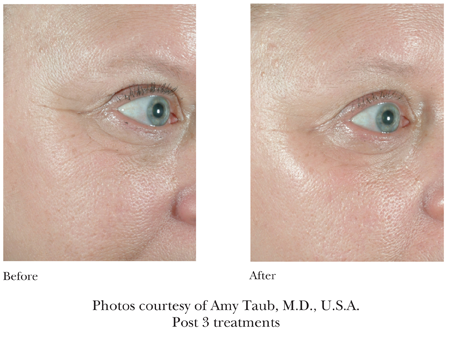 Sublative targets collagen production required for treating mild to moderate wrinkles and superficial imperfections in your skin's tone and texture. RF energy is precisely directed into the skin in the form of a matrix. Healthy skin around the dots accelerates the healing process of the skin. 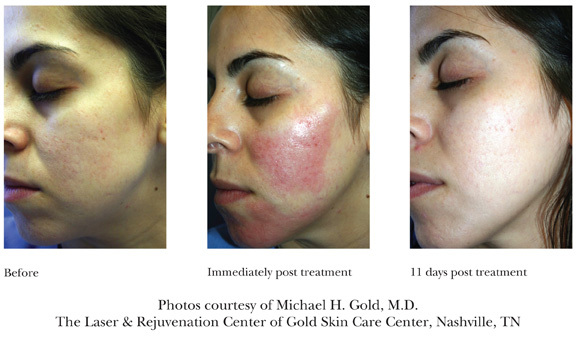 Post treatment, new collagen and healthy skin cells are produced. Mild to moderate wrinkles and superficial imperfections of your skin's tone and texture are reduced.